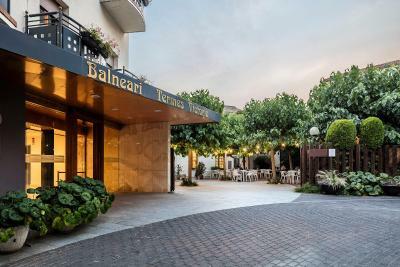 Lock in a great price for Balneari Termes Victòria – rated 8.1 by recent guests! Best place to stay. Value for money very good. I definitely recommend it. The staff was professional and friendly (Carlos, Monica, Gemma, and Laura). Very helpful in making suggestions as to where to eat. Rooms were very clean. 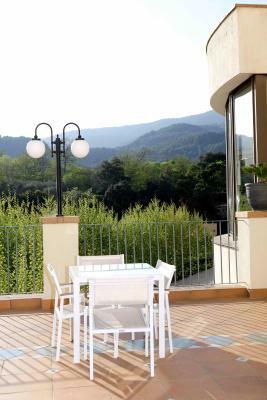 The hotel was conveniently located between Barcelona and Girona. We were there for the Formula 1 race so we were close to the venue without being in the city. Great hotel - a bit difficult to find even with our GPS but once there very good. We really appreciate the attitude of staff. Whether it was reception or restaurant - always willing to help. Food was also nice (at least dinner). Room service available. Rooms with new refurbishment are very nice and have beautiful views. Receptionist Gemma was very warm and welcoming. Room was spacious and the bathroom was nice and clean. The clientele tended to be on the older side, but I didn't mind that as much -- good for them for treating themselves! The town is a star in itself -- quaint, lots of history, picturesque spaces, and friendly people. 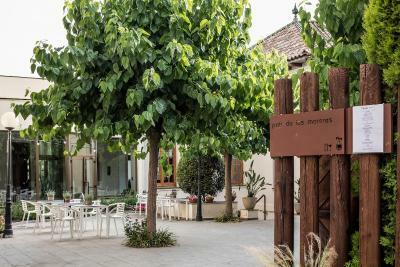 Excellent location, excellent staff, ideal to just relax and disconnect from it all. Lovely small little town too. Caldes De Montbuil was a lovely place... 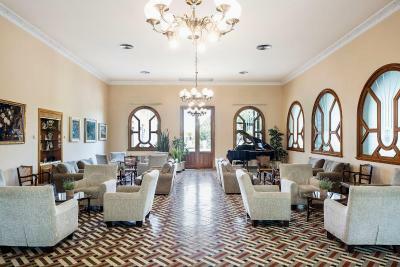 I am glad that I have visited that area.. but as for the Balneari Termes Victoria, the whole online advertisement was misleading, the hotel is undergoing extensive renovations and not once over a period of 7 months, with regular communication with the hotel, were we warned about the building work. 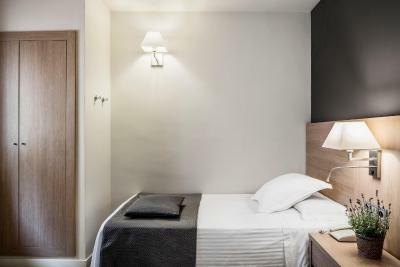 We charged full rate for a hotel that looked nothing like it was presented on the website. The property is undergoing extensive renovations and therefore what you see online does not reflect the truth. The rooms aren't as they appear online nor is the pool. There is building work leading up to the hotel and in and around the hotel. There is no direct access to the hotel unless you drive down the very narrow streets of this quaint village. The online advertisements are completely misleading. Think again about booking this hotel. 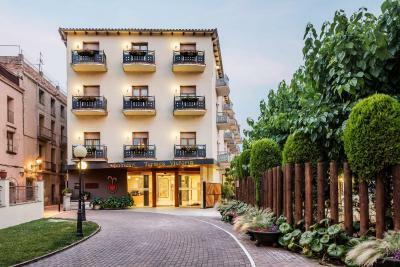 Balneari Termes Victòria This rating is a reflection of how the property compares to the industry standard when it comes to price, facilities and services available. It's based on a self-evaluation by the property. Use this rating to help choose your stay! 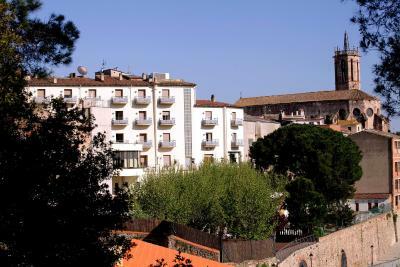 This family-run hotel is located in the heart of the historical center of Caldes de Montbui with its Roman Baths. 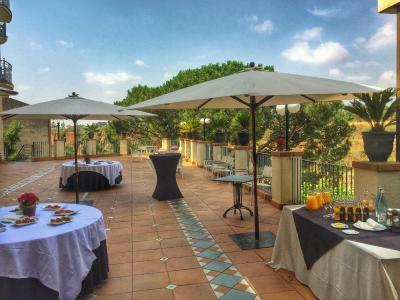 Located 17 mi from Barcelona, it offers a spa with a hot tub and massage, an indoor and outdoor pool and pretty gardens. 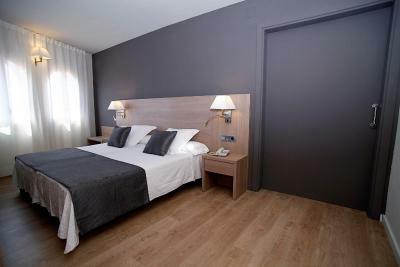 The air-conditioned rooms at Balneari Termes Victòria feature satellite TV, free Wi-FI and a safe. The private bathrooms include a hairdryer. 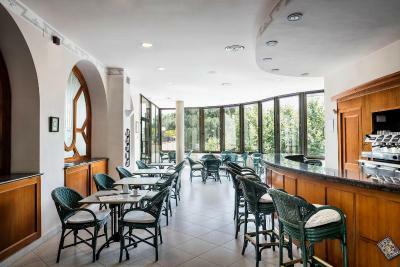 A buffet breakfast is served daily and the restaurant specializes in Mediterranean cuisine. 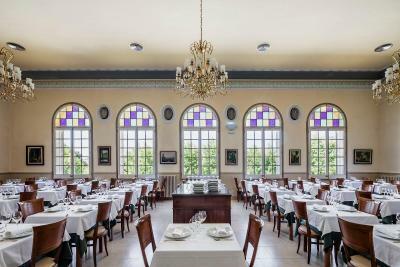 Sunday lunches, and a cafeteria with panoramic views are also on offer. 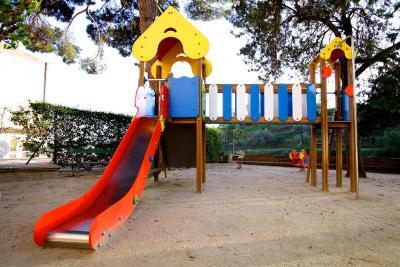 Balneari Termes Victòria has a games room, a children’s playground and a selection of books. activities such as hiking and cycling are on offer in the local area. Access to the spa carries an extra charge. 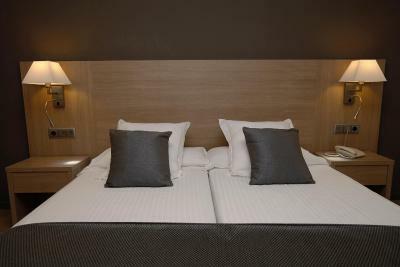 The hotel is just 11 mi from the Circuit de Catalunya (F1 Grand Prix). 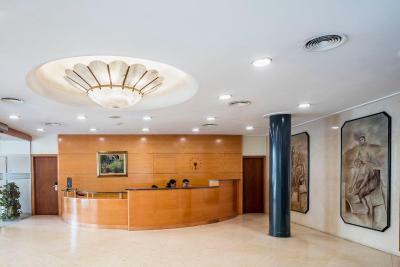 The Caldes International Golf Resort is a 10-minute drive way, and Girona can be reached by car in 1 hour. 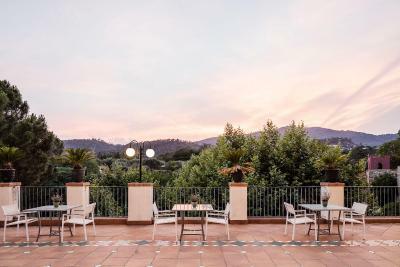 When would you like to stay at Balneari Termes Victòria? 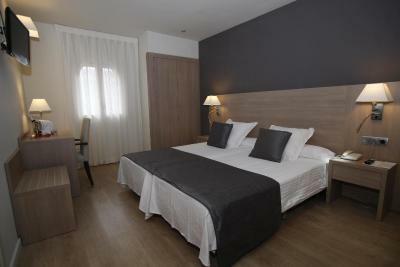 This air-conditioned room features satellite TV, free Wi-FI and a safe. 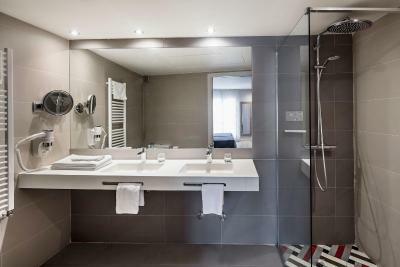 The private bathrooms include a hairdryer. 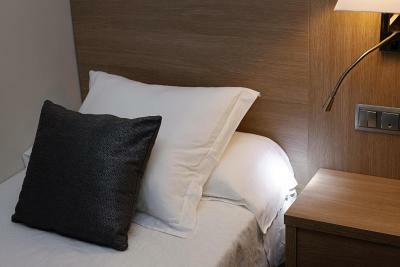 This air-conditioned room includes 1 single bed and features satellite TV, free Wi-FI and a safe. 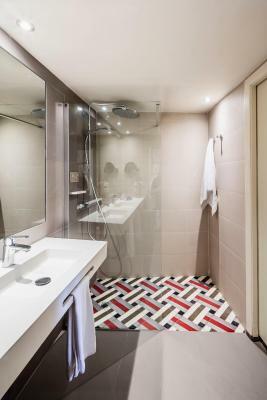 The private bathrooms include a hairdryer. 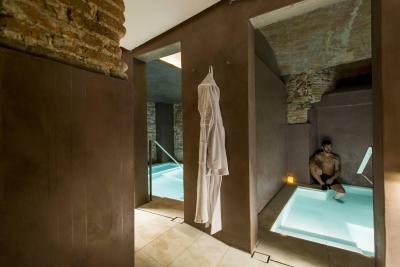 - Spa session, water circuit. 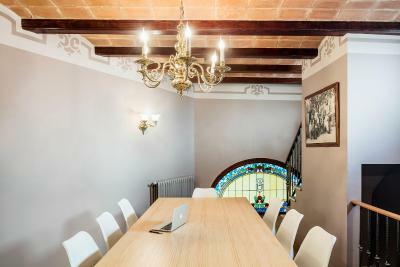 House Rules Balneari Termes Victòria takes special requests – add in the next step! Balneari Termes Victòria accepts these cards and reserves the right to temporarily hold an amount prior to arrival. Please note that guests must be 18 years or older to access the spa. Room too hot/warm for us. Air con did not cool room. Open windows did the trick. Everything. The spa is super nice! The hotel holds construction works at the moment, so there was some noise, but not really disturbing. Sauna was under construction as well, so it was closed. Hopefully they finish soon. 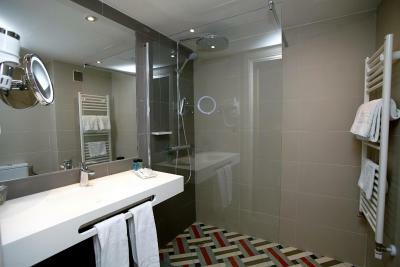 Rooms with old refurbishment are less comfortable. 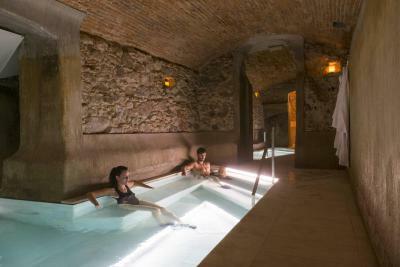 SPA is not suitable for children under 14. Good thing is that you can negotiate this with staff and they may allow, depending on age and time of the day. The baths do show their age, and could use a good facelift (apparently they are in the process of doing that). Rooms have minimal soundproofing -- you can hear everything that goes on in the hallway outside your room. The pool access of the indoor pool was extra and the outdoor pool was not warm. 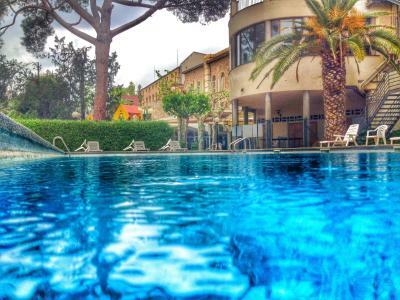 Other hotels in Caldes offer heated outdoor pools at the same price. We prefer those hotels. Lots of building work around hotel and inside, noisy, arc welding in public space next to guests, spa area, which was use was charged extra, no protection to guests, complaint ignored by reception! Room not cleaned on penultimate day! 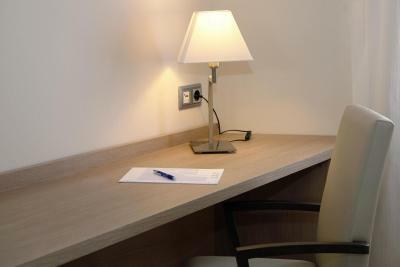 Varied prices for rooms almost daily! Room was classed & charged as executive, with no balcony, fridge, kettle, because it had apparently been recently painted! Overpriced! The rooms, the bathroom the building work, the sparks flying from the welding, the holes left unmarked, the drilling noise and the constant building work around the hotel. 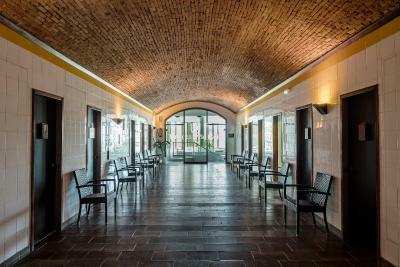 The hotel and its facilities. The bedrooms were old and not as the online photographs showed and the airconditioning systems in these old bedrooms did not work well, we were moved rooms because the airconditioning system in the first room wasn't working and then in the second room the aircon system still wasn't adequate and therefore we were given a fan to use. The automatic fan switched off every two hours and so we had to get up to switch it back on... not ideal. The pool wasn't cleaned and the reminance of plasters and birds feathers were strewn around the pool area, the lounge chairs had become a target for the pigeons, which roosted above the pool, and therefore the lounges chairs, which I never saw cleaned once, were too dirty to sit on. Due to road works there was not an easy access to the hotel. Don't stay here, give it a year or two because of the extensive renovations and mess that is in and around the hotel at the moment. We weren't told about the renovations before our stay and were very disappointed when we arrived and saw all the works; the welding, the drilling the dust and dirt. 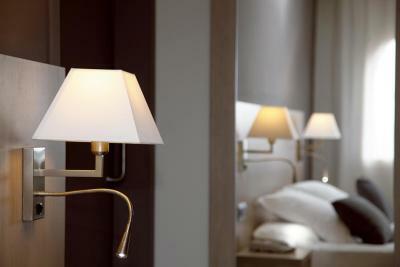 Also be aware of the room advertisements on the website, the majority of them are old and nothing like the photographs. The quaint town we stayed in was fab.